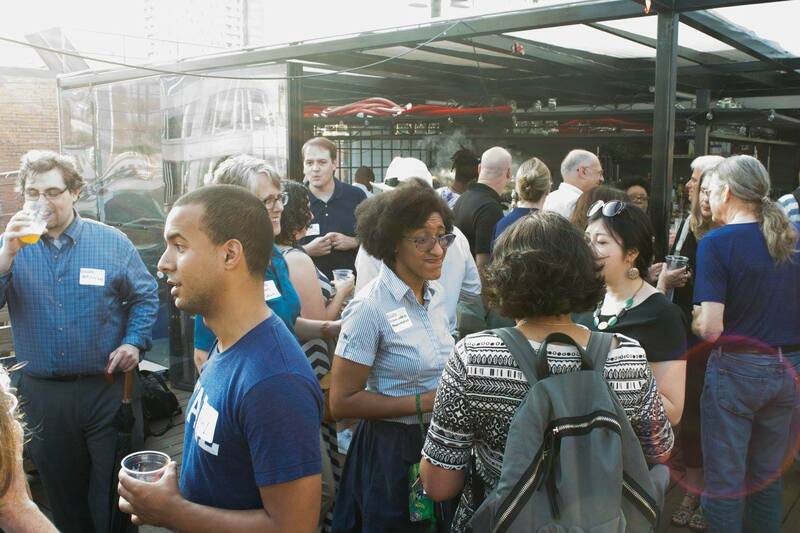 just up the pike: thanks to everyone who came out on tuesday! Thanks to everyone who came to our happy hour on Tuesday celebrating the 11th anniversary of Just Up The Pike and our friends at Greater Greater Washington! I address the crowd at Tuesday's event. Photo by Aaron Landry. 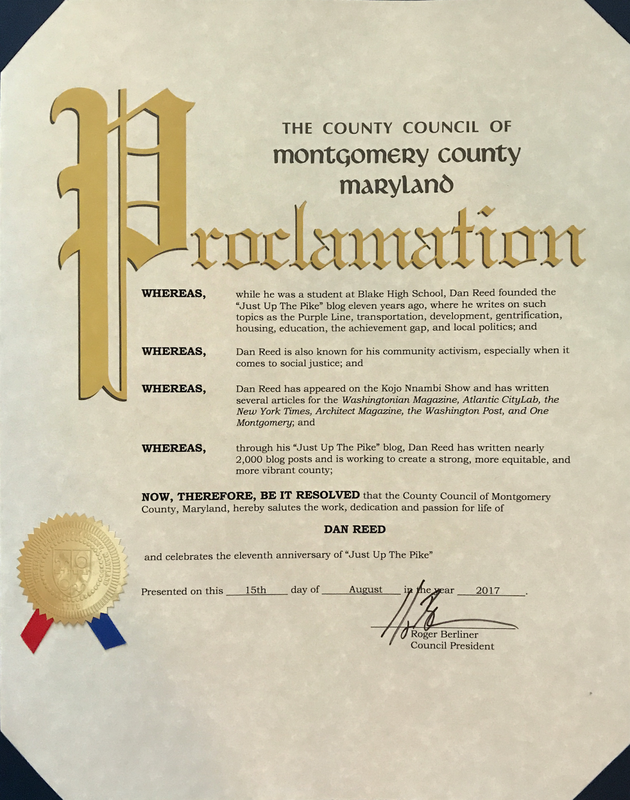 All three talked about something I’ve tried to do since I started Just Up The Pike in 2006: to help craft a vision for Silver Spring and East County in a way that is both positive and constructive. I got a proclamation! Click to enlarge. I gave a short speech spoke a little bit about what blogging has meant to me. Most of the time, I can’t shut up, but this time I find myself at a loss for words. Thank you so much for coming this evening. This means a lot to me. Who knew that one day when I was eighteen, eleven years ago, and the bus didn’t show up on time, that I would go home and write something that would completely alter the course of my life. It shaped my career. It has filled countless evenings and weekends over the past 11 years. It’s helped shape who I am as a person. But most importantly, it has made me more connected to this community that anything I have ever known in my life. 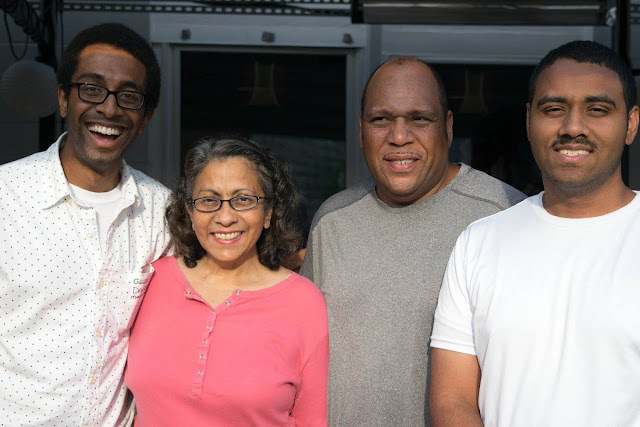 Please give it up for my parents, Sam and Cammie Reed, and my little brother Tyler, who I’m proud to say is a graduate of Paint Branch high School and is going to college this fall. We moved here 26 years ago, in 1991. And all I ever wanted growing up in Georgian Towers is to feel like a part of something here in Silver Spring. And for those of y’all who weren’t here at the time, there were some dark days. I remember going to elementary school in Rockville, and my teachers acted like I lived in the ghetto. My teachers acted like I lived in the ghetto because they didn’t know the potential that this place had. Over the past 11 years, we and I say we, myself working with every last one of you, has worked to help raise the profile of this community and show we really have something going here. And I am so proud of everything that we have done. 1700 blog posts, countless comments, 2600 of y’all following me on Facebook and telling me what an idiot I am, and even more on Twitter. I cannot tell you proud I am of what we have built together. The transformation I’ve written about in Silver Spring is just a microcosm of what we’ve seen across the DC area, and what Greater Greater Washington has chronicled for the past eight years. Now more than ever, I’m proud to be a part of this community. Photos by Sarah Guidi. Click here to see the whole album. And my parents and brother were there, too! Me with my parents, Cammie and Samuel Reed, and my brother Tyler. 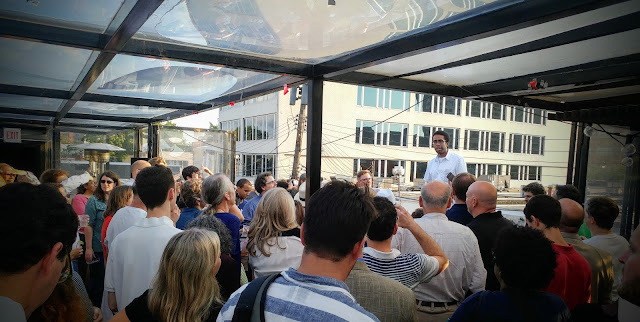 It was great to see so many Greater Greater Washington and Just Up The Pike readers, as well as my friends and neighbors, enjoying the warm weather and the views of downtown Silver Spring from the rooftop. I can’t tell you how much it meant to see all of you there.